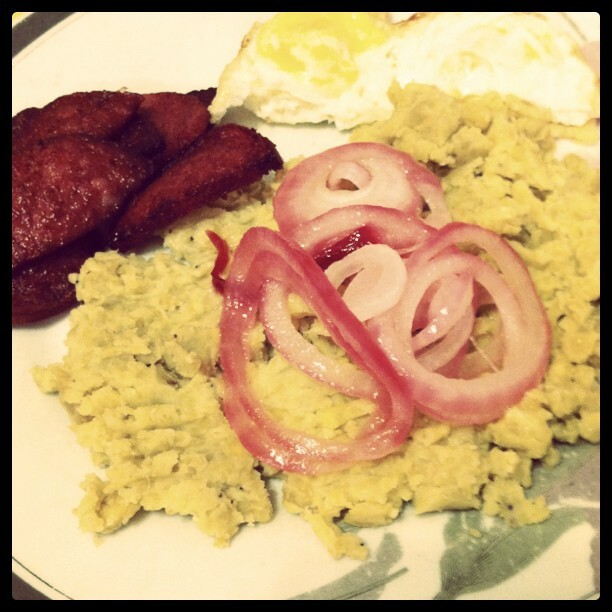 At the Platano Festival this past summer, I was introduced to 2 possible origins for the word mangu. The first I had heard before but I find the least credible. According to this theory, during the first American occupation of the Dominican Republic which began in 1916, an American soldier tasted the concoction and said “man good!”, Dominicans heard that and ran with it and enshrined it as the name for the culinary concoction. I highly doubt that the word mangu has been around for less than a hundred years. Nevertheless, it is accepted wisdom that this is the real origin of the word. This entry was posted in #WHIN, Writings by Led Black. Bookmark the permalink.